Looking for LED spots? 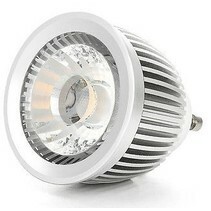 All our LED spots can be obtained in dimmable version, some without driver. We have Samsung spots. Quality at the best prices! Are you looking for a nice LED spot? At My Planet LED, you are at the right place! At My Planet LED, you find a whole range of LED spots. 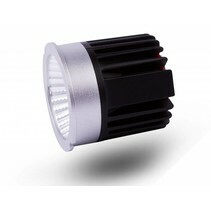 We have LED spots of all types : GU10, MR16, E27, E14? At My Planet LED, you will find the right LED spot! Our led shop has a nice assortment LED spots which consist mainly of COB spots. With COB (=chip on board), different, tiny LEDs are place close to each other, due to which you get a high concentrated light. We also have SMD led spots. This consists of different chips, which are spreaded on the surface of the spot. It results in a wider beam. LED spots have had an enormous evolution. The light colour authenticity (CRI or Colour Rendering Index) of LED spots has become much better (at least if they have a CRI-index of more than 70). 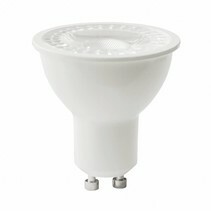 Besides, all led spots are available in all fittings (GU10, MR16, E27, E14). The light intensity or lumen output of our LED spots is mostly 85 lumen per Watt. LED spots only consume 1/7 of halogen spots. 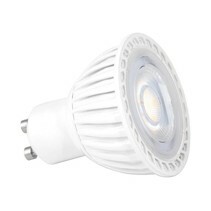 You replace a halogen spot of 50W with a LED spot of 7W and a halogen spot of 35W with a LED spot of 5W. We also have LED spots without driver. They have as feature that they consume less. We are pleased to help you in your choice of your led spot! My Planet LED has a large assortment of LED spots but there are more reasons why you should order your led spots with us. With us, you order easyly and quickly your LED spot. Aren't you sure that the LED spot is suitable for your house? That's no problem because at My Planet LED, you can use our 14 days return policy. Of course, you can also count on the excellent service of My Planet LED! Would you like to have more information about a LED spot? Do you need more information about one particular LED spot? Or are you looking for a special LED spot which you cannot find on our led shop? Or would you like to have more information about My Planet LED? Contact us please! You can send a mail at info@myplanetled.com or call us at (+32) 57 466 866.